Over on my pop culture blog UnitedMonkee I reviewed a pair of trades collecting comics I thought might be good for kids to check out, but probably aren’t solid for younger kids. Like I said when I reviewed Batman ’66 Volume 1, I’m always looking for versions of these characters I love that I can pass along to my 3-year-old, but I’ve got to say that The Batman Adventures Vol. 1 and Adventures of Superman Vol. 1 aren’t those books, at least for another few years. As you can see in the review I wrote over on UM, I do actually love both of those collections, but I did want to point out to this audience that they might not be the best introductions to these characters for little kids. 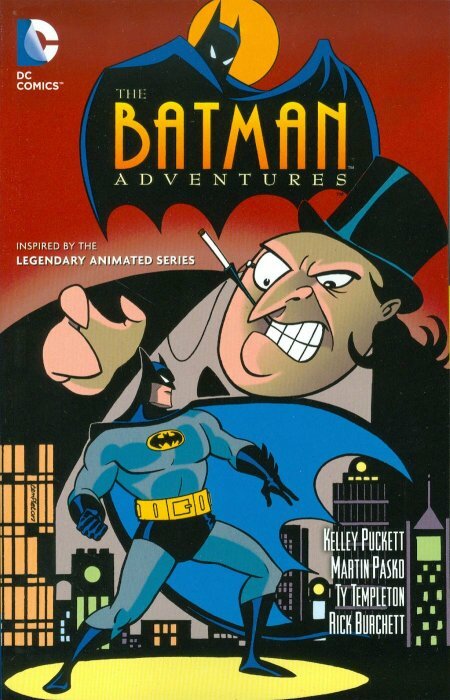 Even though The Batman Adventures is based on a cartoon — the amazing 90s ‘toon Batman: The Animated Series — it’s still aimed at kids a bit older than my daughter’s age. Sometime in the past year I was watching Batman: TAS and she came in the room and it freaked her out. Also, when I showed her the covers to this and the Batman ’66 book, she quickly went to the cartoonier book. I think the inherent darkness of TAS — both in visual style and tone — is just a bit too intense for her. The nice thing about a comic like this that’s based on a show, though, is that you can easily sit your kid down in front of an example and if they dig it, then you’re good to jump into the series. I’ll probably wait until Lu’s a few years older before going down this particular route with her, but I’m always looking for more kid friendly Bat books. 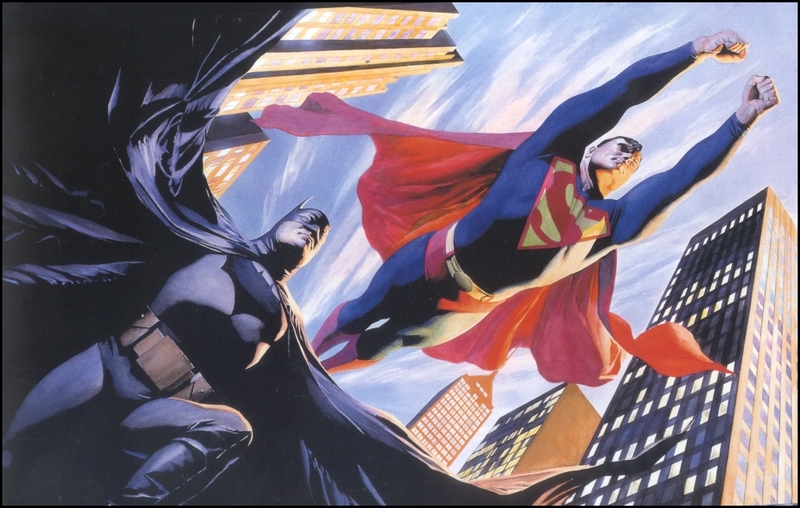 I was also curious to see if the digital-first, but printed Adventures Of Superman anthology series would be a good place for our kiddo to start experiencing the superhero that changed my life. This series has a variety of stories by all kinds of amazing writers and artists that run the gamut from Superman figuring out a good mission for his backwards clone Bizarro to Superman’s mom wishing he’d come home for dinner. 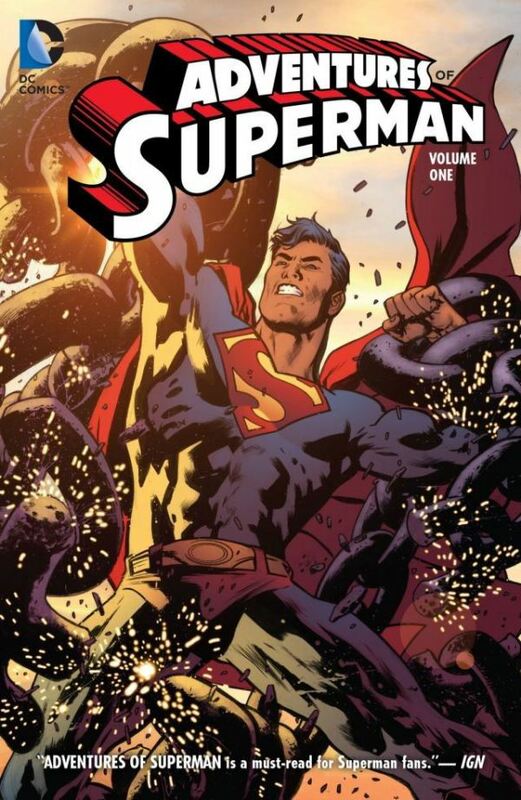 Much like with the Batman book, I think this is a wonderful batch of comic books, great for a new reader, just not a super young one because the Man of Steel is still dealing with a variety of people trying to kill him on a regular basis. There are definitely stories in here that are cool for kids, but have you ever tried to flip past one story to get to another with a pre-schooler looking on? It can lead to more than a few problems. However, a good way to get around that might be to go back to these stories’ digital roots which can be found on Comixology. In that format, each “issue” is broken up into different downloadable chapters that cost $0.99 each. This would allow you to show them just the ones that you think they’d be into without the hassle of them seeing you skip past the ones that aren’t.